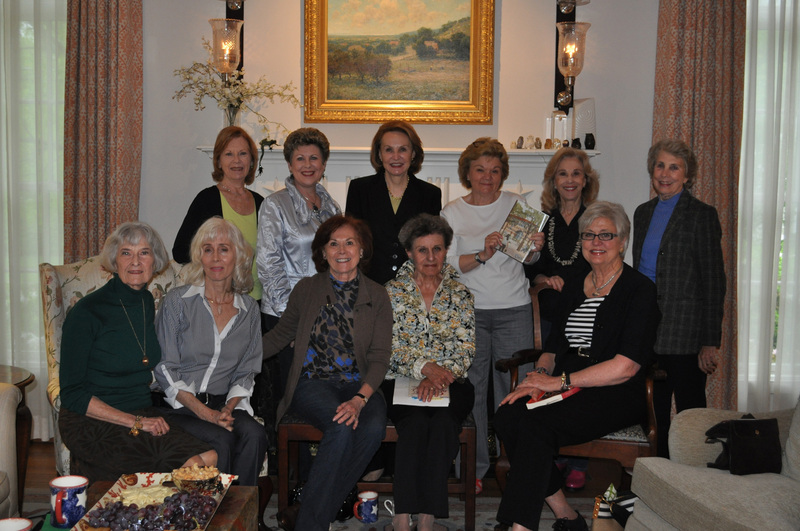 Several members of The Book Club, with Susie Glasscock, back row, holding "her book"
Susie Glasscock, who along with husband Mel, endowed the School of Continuing Studies in 2005, has amazing friends. How amazing? So much so that they all pitched in and named a seminar room for Susie in the planned new home for Continuing Studies. Susie is a member of “The Book Club” which has been in existence for 40+ years. (That’s a lot of reading, ladies!) Member Anne Baillio, who had already donated funds for a courtyard at the new Continuing Studies building with her husband, Bob, wanted to make sure something in the building was named for Susie. While the school is now named for Susie, the name of the building and many of its individual spaces are still available for naming. The Susanne M. Glasscock School of Continuing Studies is forever grateful to Anne for leading this effort and to all the members of The Book Club for their wonderful support.